The thing about optimism is that you’re either right, or you’re disappointed. 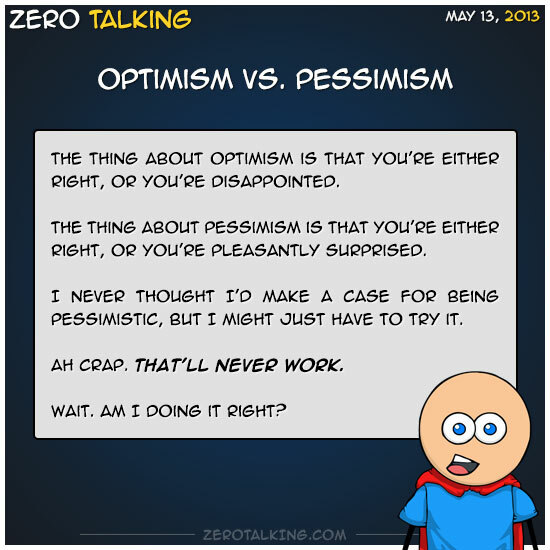 The thing about pessimism is that you’re either right, or you’re pleasantly surprised. I never thought I’d make a case for being pessimistic, but I might just have to try it. Ah crap. That’ll never work. Wait. Am I doing it right?